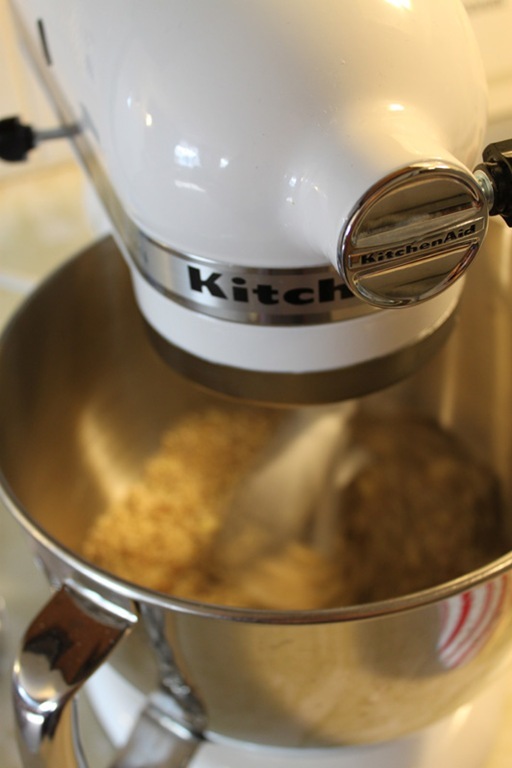 Occasionally it’s time to reboot a recipe. 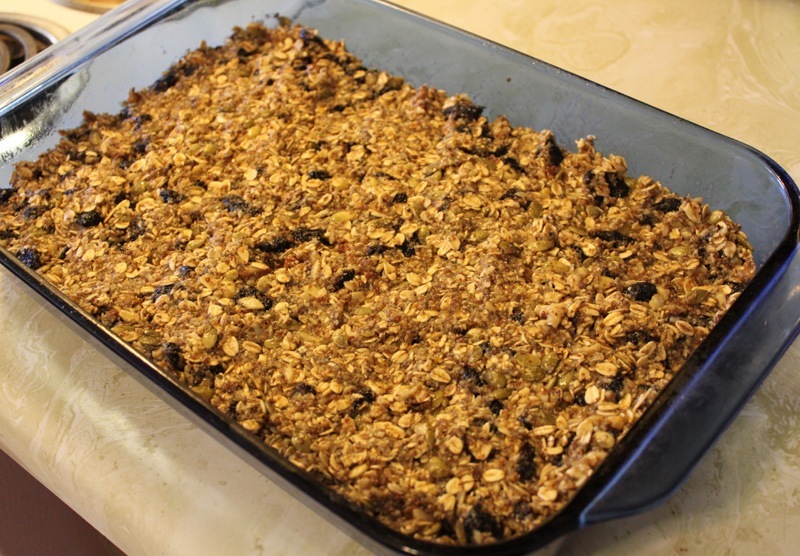 So on Sunday morning I hunkered down with some breakfast, my laptop, a cat at my feet and got to work rebooting my favorite muesli bars recipe. 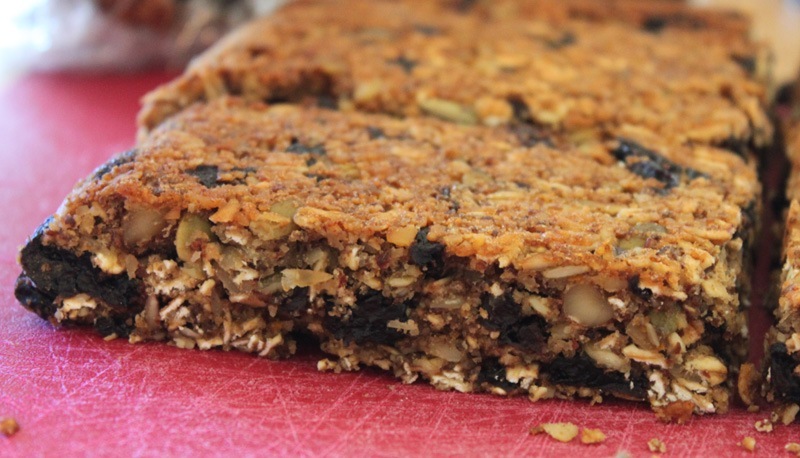 The reboot isn’t earth shattering but it’s enough to make a real difference with these bars. They are slightly sweeter, chewier, nuttier, and overall closer to perfect. 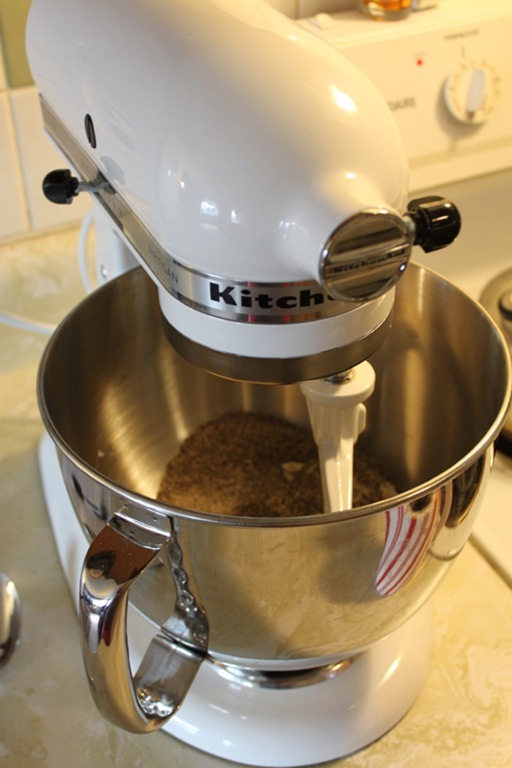 Combine all of your dry ground ingredients together first in your stand mixer (almonds, chia, flax). 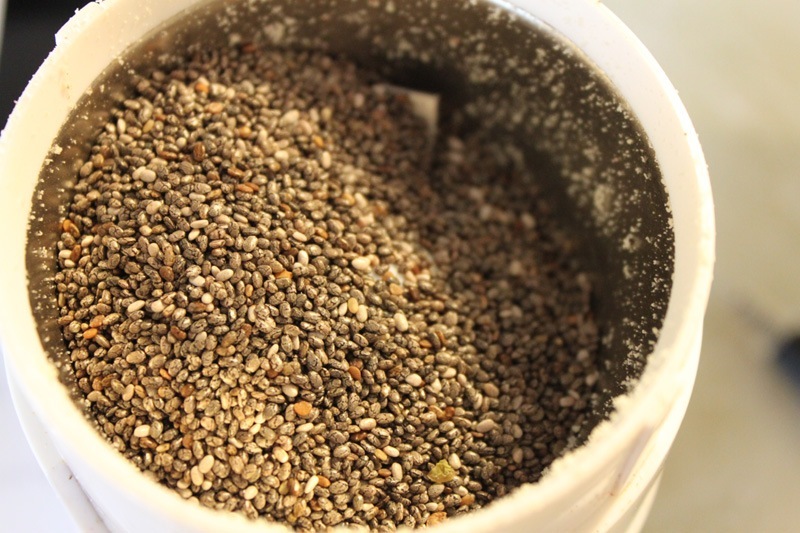 I tried using whole chia seeds that I ground myself this time. Not a huge difference to the pre-ground variety I was using before. 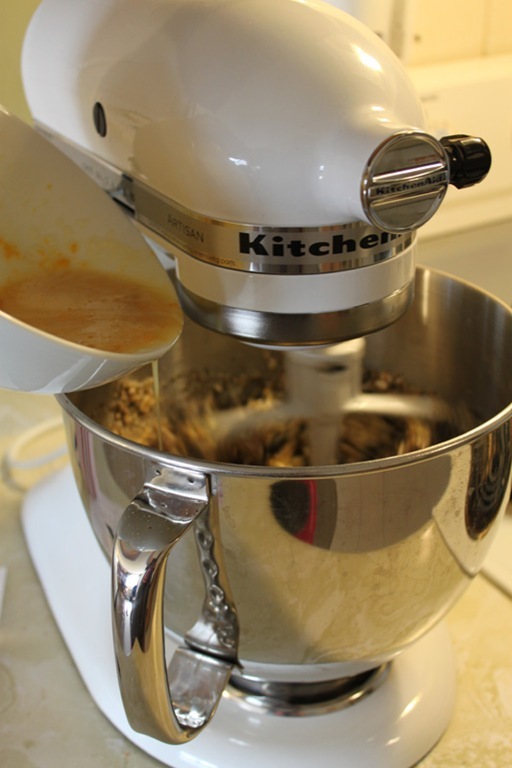 Stir in your mixer to combine. 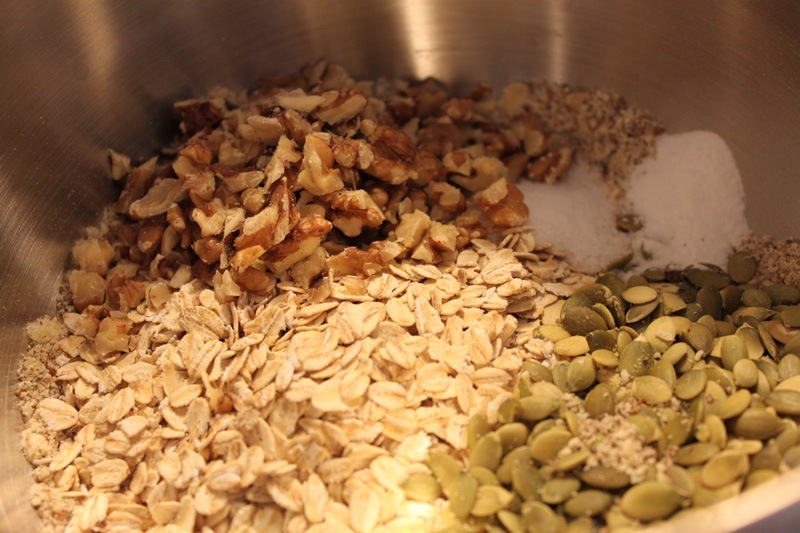 Next add your chopped walnuts, oats, pumpkin seeds, salt, and baking soda. Mix those to combine. 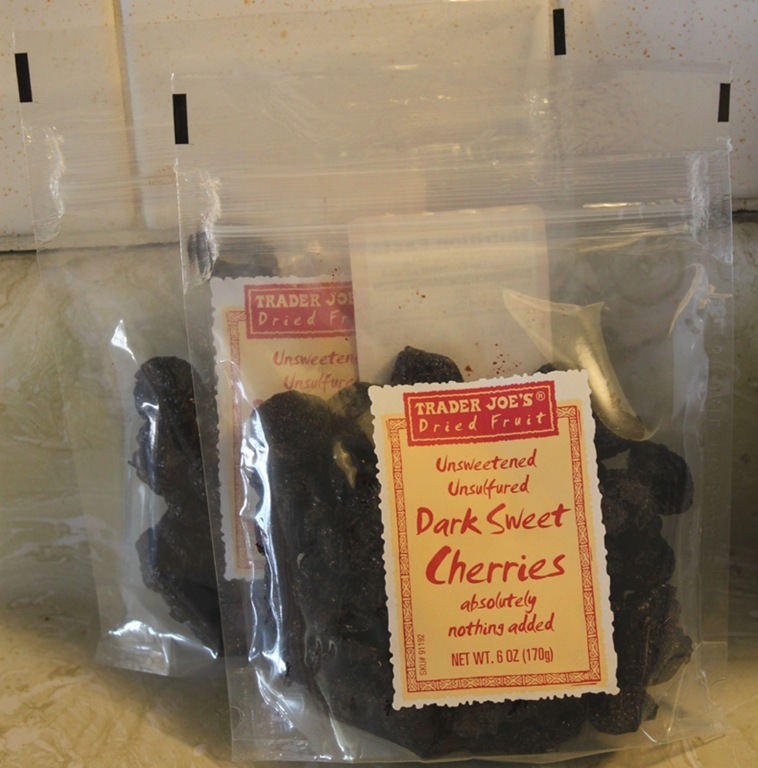 We recently discovered these amazing dried cherries at Trader Joe’s. They are so yummy! Plump, moist, chewy. 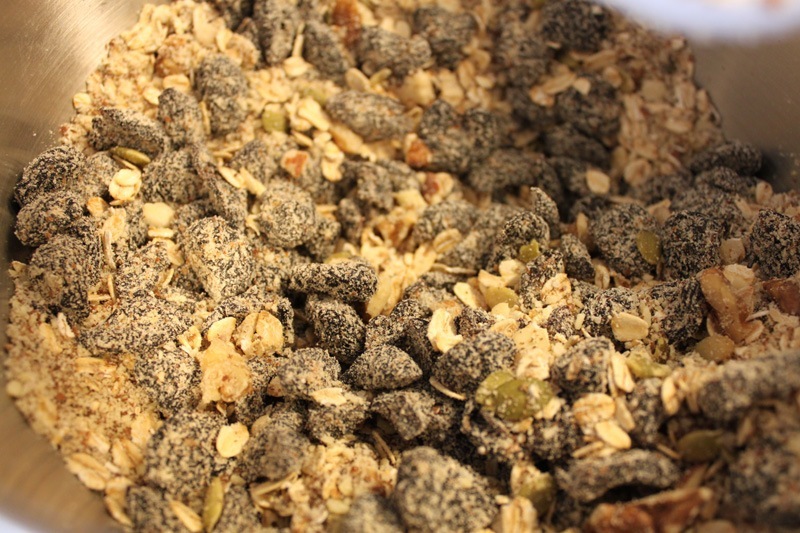 They kind of taste like raisins but better. 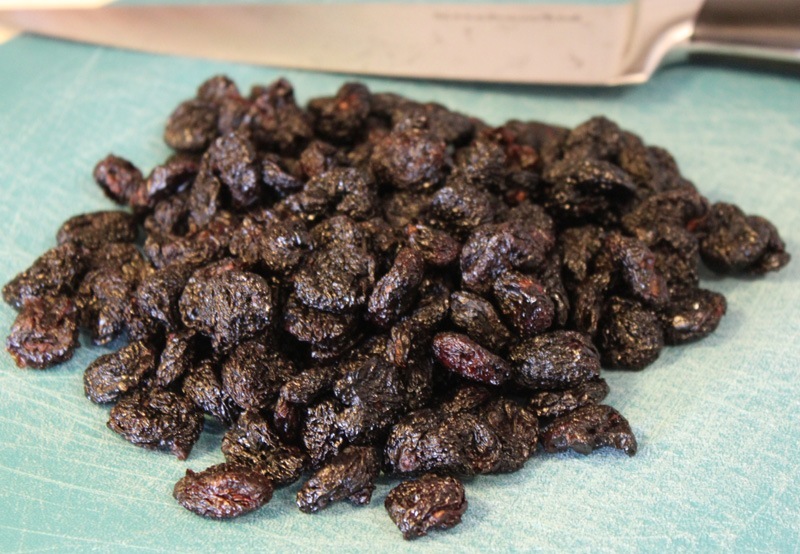 They are totally superior to dried cranberries in this recipe. 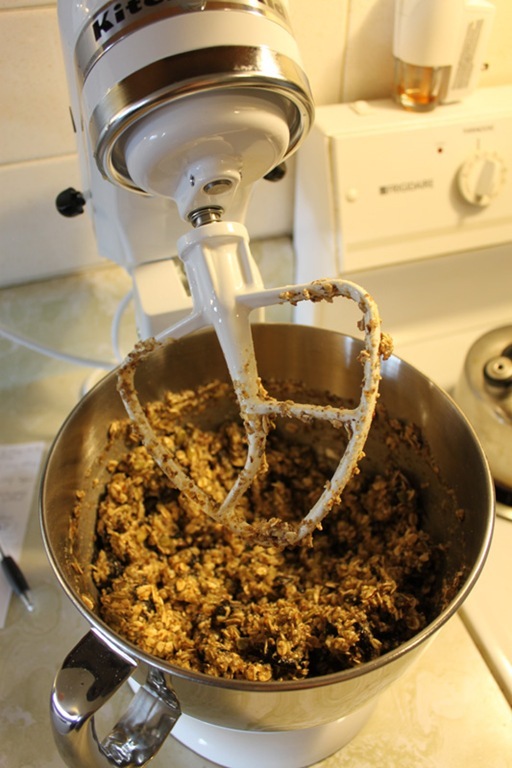 Give them a rough chop and then combine in your mixer with the dry ingredients to coat completely (helps the bars stick together better that way). On to the wet team! 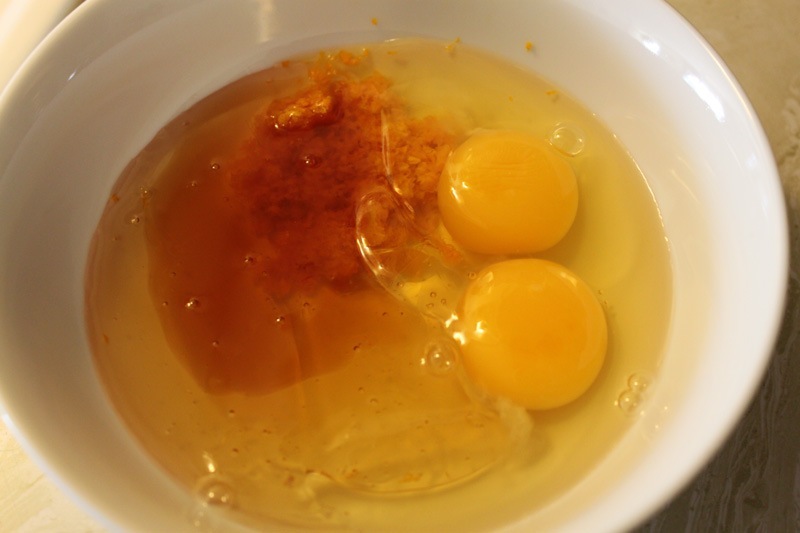 Mix your orange zest, eggs, honey, agave, and milk all together in a separate bowl before adding to your dry mixture. 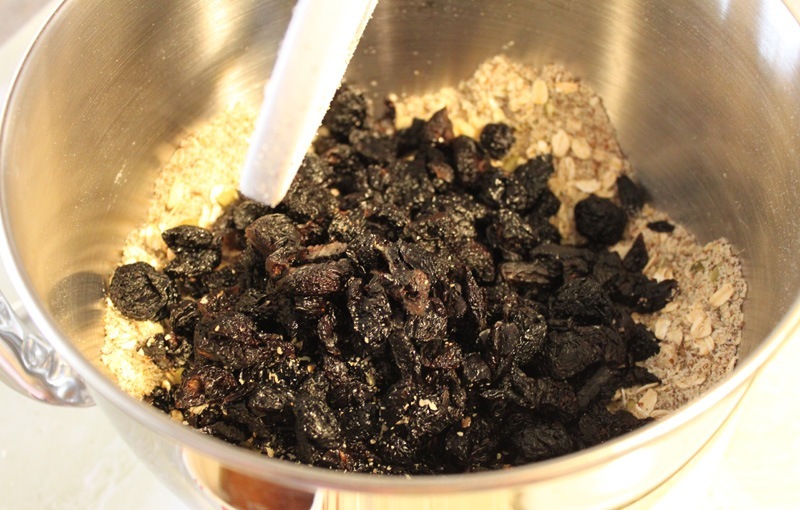 This will create a more uniformly flavored and chewy muesli bar. 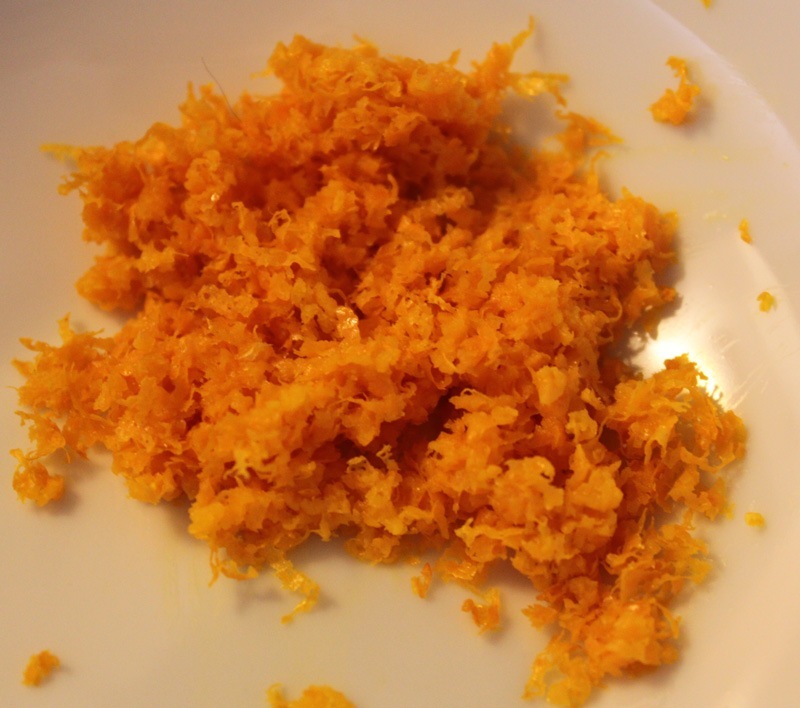 I used orange zest here instead of lemon this time around. 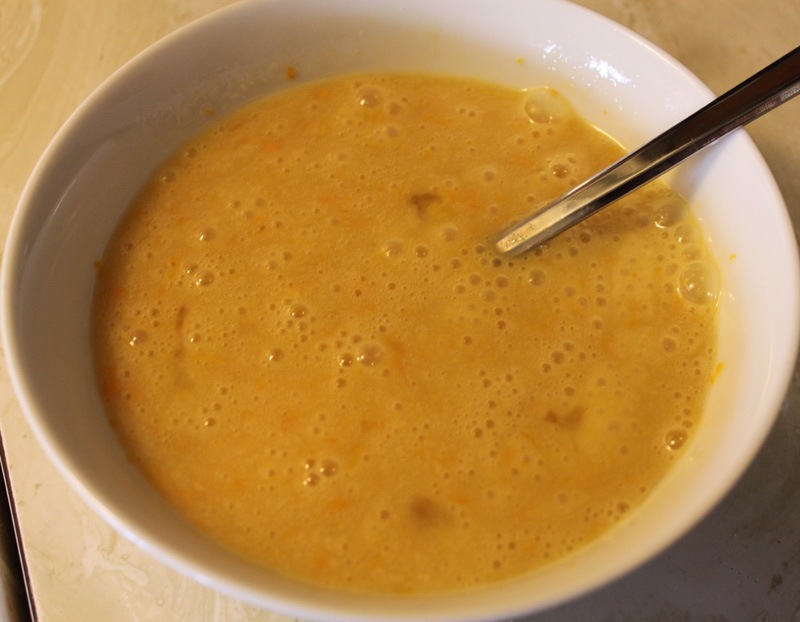 It is much subtler but brighter and more compleimentary to the other flavors going on. Lemon has a tendency to outshine other flavors sometimes, you know? 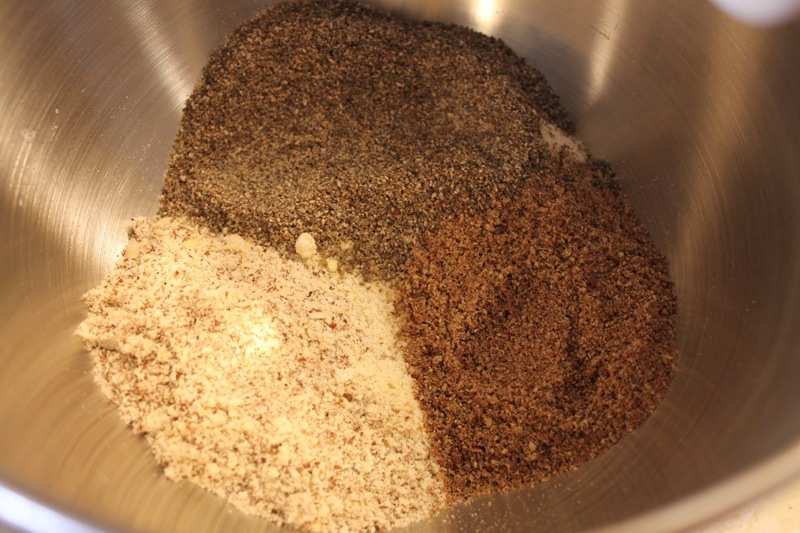 Stream your wet ingredients into the dry ingredients and let them mix together fully (1-2 minutes). 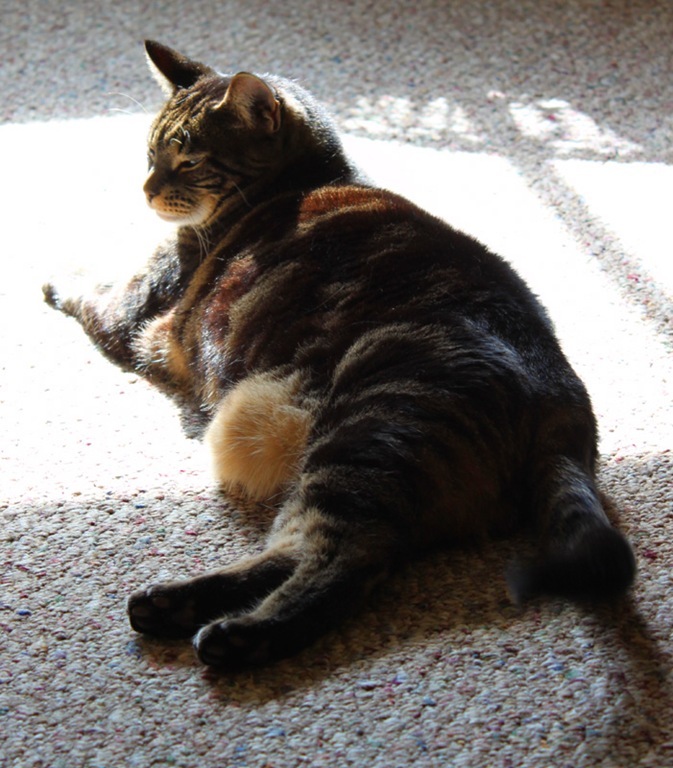 Bake on 350 degrees for 20 minutes, rotating once at the 10 minute mark. When they come out of the oven they need to cool completely! Seriously, leave them alone for 2-3 hours. 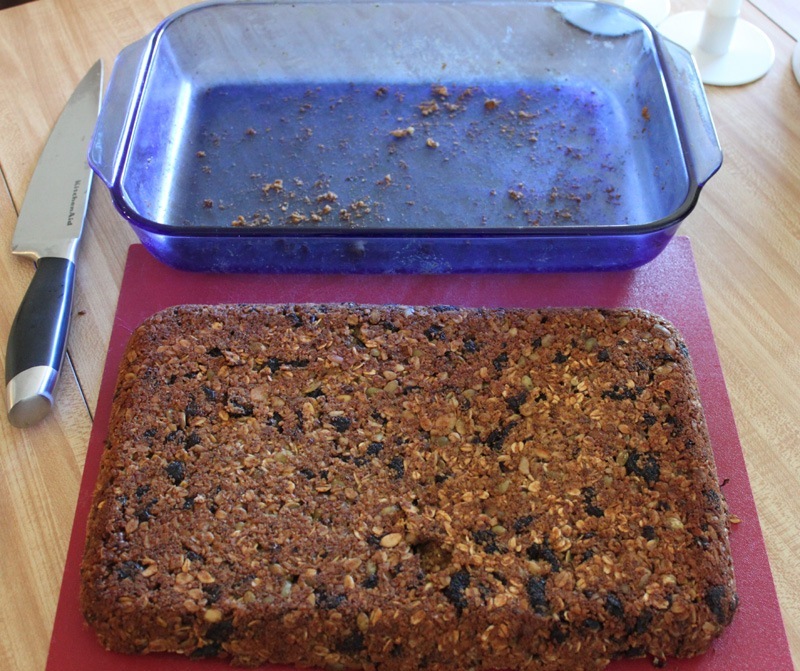 You’ll thank me later when your bars cut up perfectly instead of crumble in your hands. 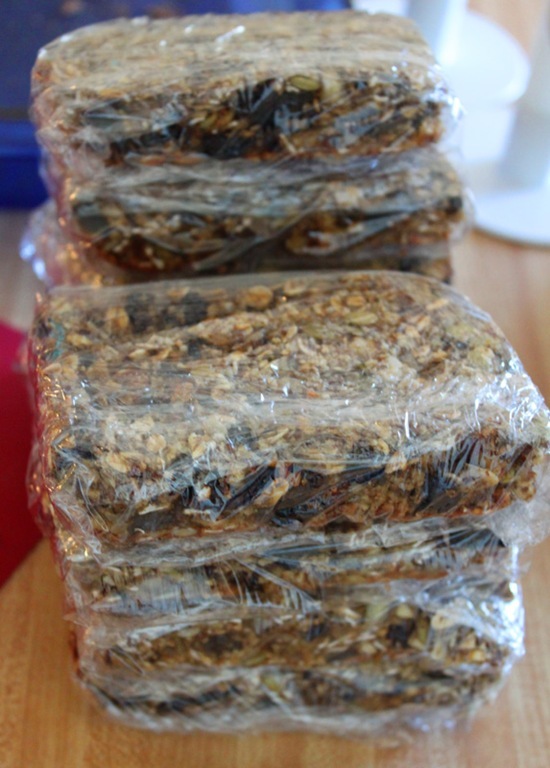 I was able to get 10 muesli bars out of this batch. 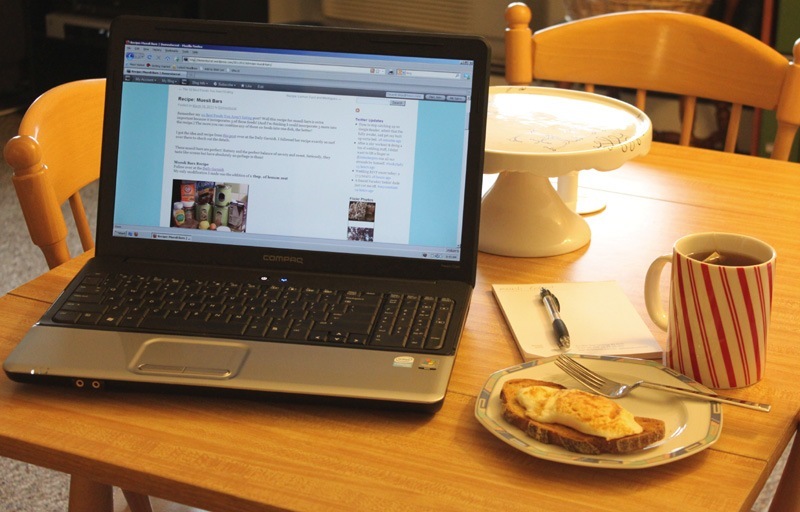 Perfect for the work week! 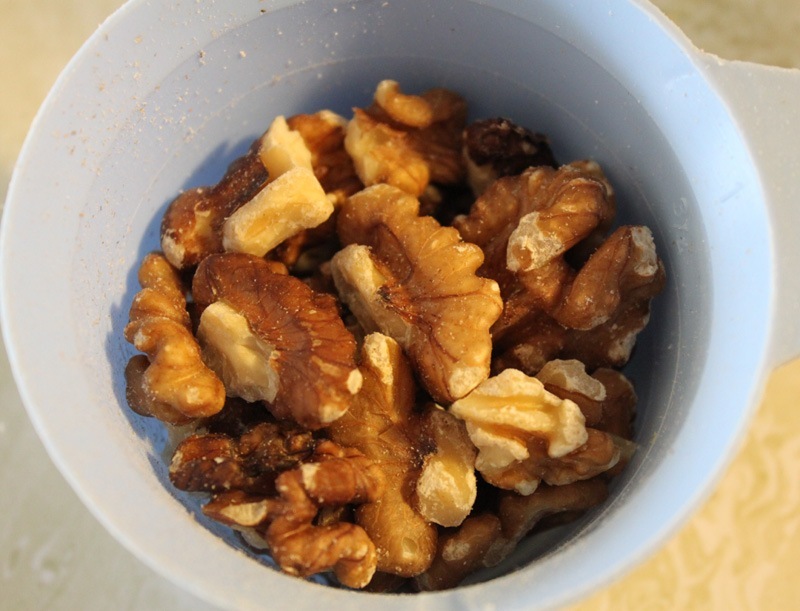 Individually wrap in plastic wrap and store in the fridge for 1-2 weeks (if they last that long). 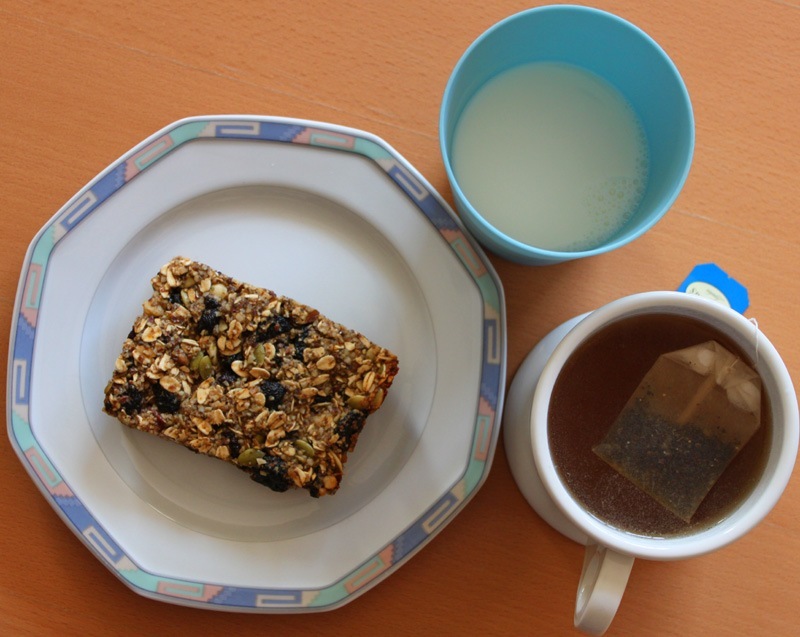 This is how I enjoy my muesli bars every morning: with tea and a glass of cold milk. these look great and super healthy! They are SO yummy! We’ve had them for breakfast for the last 3-4 weeks in a row! !